It’s phrases-in-the-blender day, folks. “Off the bat” becomes “from the bat” for some reason. An image from cricket or baseball, “right off the bat” means “immediately, without delay,” and comes as a metaphor from such observations as “right off the bat the ball was headed out of the park.” My student was writing about one of Shakespeare’s sonnets. Now, Shakespeare referred to just about every feature of life, large and small, grand and ordinary, formal and casual, clean and unclean, in his plays, and he wasn’t averse to experimentation with imagery in his sonnets (or to mocking other poets’ dependence on formulaic image traditions such as coral lips and sun-like eyes). I don’t recall any bat-and-ball metaphors, though; and when I think about Shakespeare as a writer I generally don’t do so in sports imagery. My student evidently does, although she doesn’t get the phrasing exactly right. Well, be that as it may: right off the bat, Shakespeare is getting busy with that poem. He doesn’t waste any time. But the formulaic phrase that follows Shakespeare-as-Babe Ruth is from another sphere of life entirely: “Shakespeare is using his words.” I’m sorry, but I’ve never heard this phrase except in connection with admonitions to temperamental children: “Henry, stop hitting Kaitlin with that bat; use your words!” So now I recast Shakespeare the Slugger as Shakespeare the Well-behaved Child. The “share” keeps us in that mommy (or support-group?) vernacular. Probably after “using his words” the “share” just insisted on following. He’s going to share how much love he has. Now, this does NOT mean that he’s going to share his actual love here, no, not with the reader; “share” doesn’t mean “give part of , divide and distribute, experience or enjoy with others”; in this usage it means, as all us modern speakers know, “tell, express, confide.” For some reason we don’t say “tell,” “express,” or “confide” anymore, I guess: “share” is so much warmer and less precise. We know Shakespeare isn’t going to share any love with us because the writer is clear that the love is for the person he is talking about, not for the reader. My relief at seeing the word “talking” is huge because it’s a word I pretty much know, used in a way it’s traditionally used. Or not, of course: Shakespeare is writing, not talking. But in this instance, close enough. Neither of these associations takes me deeper into Shakespeare, though; and his sonnet is like neither of them. My apologies if the rest of your day is going to be played out against the background of that perky Petula number… Do take comfort in the fact that mine will be too. I am relieved at the realization that Shakespeare is going to talk about his love for the person he’s talking about, at least. A sonnet is too brief a poem to clutter up with expressing love for someone other than the person he’s talking about, although I suppose he could “share” that he doesn’t love the person he’s talking about as much as he loves someone else. He wrote a sonnet sequence, after all, so the someone else could be talked about further in the other sonnets. 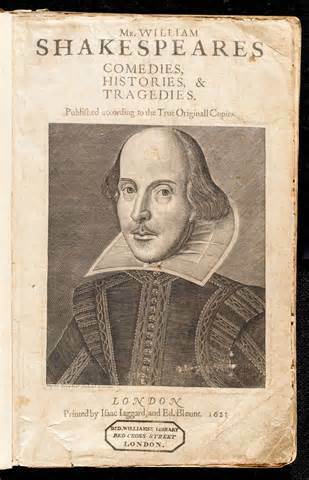 In fact three characters do inhabit the sequence Shakespeare wrote: the young man, the “dark lady,” and the speaker. Sorting them out has kept graduate students and other scholars busy for about four hundred years. But my student isn’t concerned with this at all; she’s just commenting on a single sonnet she read. A sonnet is also too brief to waste time at the beginning; it really does have to start right off (okay, from) the bat. A Journal entry is also a brief form, as I have assigned it. My student does not start right off the bat, though: she noodles around with bats and shares and other vagueness and wordiness rather than coming out and saying something. The thing that makes me feel like an ogre is that she really, really likes this sonnet, as the rest of her Journal comment made clear. She likes Shakespeare. And I am beyond delighted that she does—I do, too. Because I don’t want to dampen or trivialize her appreciation, my comment on her Journal entry (which isn’t, after all, a “writing” assignment) won’t even mention her diction level, although I will underline the formulaic phrases and hope she stops in during office hours to find out why. (She didn’t.) But how someone could read Shakespeare’s specific, witty, allusive, cadenced writing and then respond with this sentence is beyond me. I imagine it’s that people who aren’t habitual or observant (or, perhaps, trained) readers don’t make these linguistic distinctions, don’t look for precision of meaning in trendy or commercial speech, don’t hear the competing voices and attitudes in their own verbal Smoothies. Hence the frequency of references to “Grendel’s mom” and “Hamlet’s dad” in student papers. I suppose. Just the same. English is a huge and vigorous language (thanks partly to Himself). I wouldn’t send a boxer into the ring with both hands tied behind his back, or a violinist into the orchestra pit without a bow, and I hate to send students into the world with only the sketchiest notion of how to wield the mighty instrument that is available to them. Poor Othello. I have spent it-seems-like-a-lifetime trying to persuade students that Othello has no “tragic flaw,” and is not jealous until Iago has worked on him for more than three acts of the play. But they have read it—OTHELLO”S TRAGIC FLAW IS JEALOUSY—first in Cliff’s Notes and now in Spark Notes, and such impersonal voices of authority are stronger than mine. I see Othello as a tragedy of innocence. Othello was no more suited to the intrigues of Venetian life than Desdemona, albeit for different reasons. Iago is the jealous one; but since Iago is also a very good student of psychology (even before it existed as a discipline), he knows how to create jealousy, and can work Othello into a virtuous murderous rage by way of it. Othello has refused to believe ill of Desdemona without ocular proof. Iago has, conveniently enough, come by the handkerchief Othello gave Desdemona during their courtship, a handkerchief that had been given to his mother. The handkerchief is maneuvered into the hands of Cassio, someone Desdemona and Othello have both trusted and respected and Othello has promoted. Othello has quarreled with Cassio over some drunken behavior, and Desdemona has undertaken to get Cassio back into Othello’s good graces. But her advocacy irritates her husband, and when he sees that handkerchief in Cassio’s hand (and on the way into Cassio’s mistress’s hand) after many insinuations by Iago, he is indeed ready to believe that Desdemona has been unfaithful. Isn’t that how the modifiers have to play out? “That belonged to him” has to modify “hands,” doesn’t it? It’s an adjective clause, and as such has to modify the noun that immediately precedes the relative pronoun. That is “hands.” And the handkerchief is in one of those hands. The hands belong to his friend (note the singular possessive). Othello has a strange notion of friendship, expressing his fondness by removing his friend’s hands and taking possession of them. The image is grotesque and hilarious. WHY didn’t my student start over when he saw that the sentence was getting out of, um, hand? I’m afraid he just carried on because he didn’t really know that the sentence was grotesque or unmanageable. How could he not have known, though? Ah well. My dear father had as a driving mantra “Never turn around.” If he missed a turn, or got lost, he pushed forward until he found an intersection that promised a chance to change direction. He did know, though, that he had missed the turning, or that he was lost. He found a way to correct the error, no matter how circuitous the correction. We had some interesting trips. My student, I’m afraid, had no idea he was lost: he drove on because he thought he was on the right road. And by gum, he was! But the road is so rough that it must have been under construction. I wish he had looked for a detour. This is an interesting title. The first thing it reveals is that the student never actually set eyes on the play. Back in my own student days, I confess, I didn’t read every word of every assignment, and on several occasions I went into class with a book that looked read only because I had carefully thumbed the pages, dog-eared a few, and broken the spine before rushing to class. But—and I don’t say this with any particular pride, it’s just a fact—I always knew the title of the assigned piece. The student writing on Othello here has more in common with his schoolmate who wrote a critical paper on The Twelfth Knight than he has with the sometimes-under-prepared me. So, chalk it up to trying to write a paper based on things heard (or mis-heard) in class. Now, as to that whore. As you may or may not remember, depending on what you majored in and how long ago it was, the full title of the play we refer to as Othello is The Tragedy of Othello, the Moor of Venice. And so he heard “whore.” Now, not all of us pronounce “whore” to sound like, or rhyme with, “Moor,” but some of us do: “Whoo-uh,” in Brooklynese, for example, and “whoor” possibly among those too fastidious or virtuous to speak the word “whore.” So “Whore” gets into the title of the play. Music groups today aren’t so fond of putting “and the” in their names, but in My Day it was a commonplace: Little Anthony and the Imperials, Paul Revere and the Raiders, Bill Haley and the Comets, Gladys Knight and the Pips, Frankie Lymon and the Teenagers, Diana Ross and the Supremes, Smokey Robinson and the Miracles, Booker T. and the MGs, Gerry and the Pacemakers, Sly and the Family Stone, Country Joe and the Fish (I know my point was made long before I ended this list, but I thought you and I deserved a little trip down Memory Lane…). In grad school we made up fantasy ones: Diggory Venn and the Reddle Men stands out as one of the best, with Juno and the Paycocks and Leda and the Swans coming up close behind. If my student had any tendency toward comfort with this pattern, he might have added that “and,” making the subject of Shakespeare’s play a rock ‘n’ roll group (or at least duo). The Whore of Venice might also have gotten in there by way of the Whore of Babylon, if my student had been hearing any anti-Catholic propaganda or studying the Book of Revelation. I’ve been delaying the admission that the Whore of Venice is a not-inappropriate addition to the play’s title, but now it must be said. Desdemona, a young Lady of Venice, is a pure and faithful and loving wife to Othello for the brief days that she is his wife, and Othello holds fast to his belief in her until Iago manages a little dumb-show that persuades him otherwise; but Iago has been insinuating throughout the play that Desdemona is not, cannot be, faithful to “the Moor,” and when Othello kills her he has been persuaded that he is removing a whore from the world lest she “betray more men.” The play is not a tragedy for Desdemona in the sense that we use the term “tragedy” in literature, but she certainly suffers and she certainly dies. I like that my student sticks her into the title along with Othello, although he doesn’t do so very respectfully. But I don’t like that he has the temerity to write about a play he hasn’t read, and his error in the title makes pretty plain that he hasn’t. Poor lad: if only he had been content to refer to the play as Othello, as most people do, I might never have known.